Ferguson, R., Coughlan, T., Egelandsdal, K., Gaved, M., Herodotou, C., Hillaire, G., Jones, D., Jowers, I., Kukulska-Hulme, A., McAndrew, P., Misiejuk, K., Misiejuk, K., Ness, I.J., Rienties, B., Scanlon, E., Sharples, M., Wasson, B., Weller, M. & Whitelock, D. (2019). 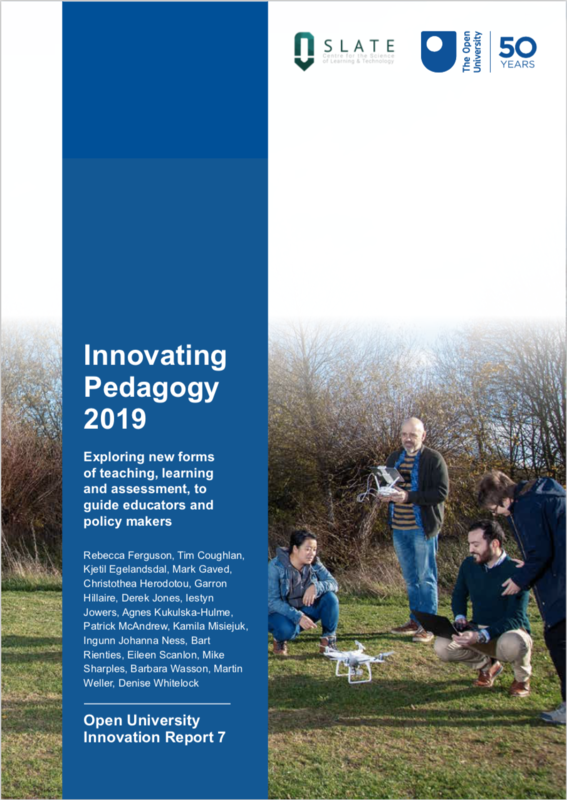 Innovating Pedagogy 2019 . The Open University. Retrieved April 25, 2019 from https://www.learntechlib.org/p/207292/.